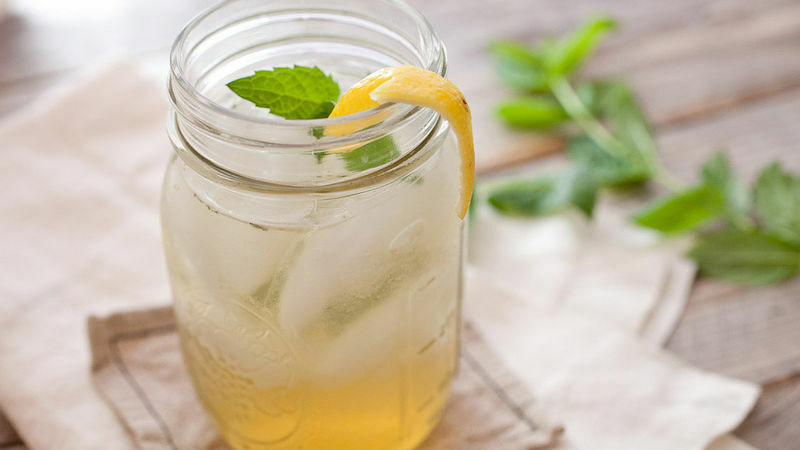 In a tall glass or mason jar, gently muddle together sugar, mint and lemon peel. Pour in bourbon and stir to make sure sugar is dissolved. Fill glass with ice and club soda. Stir and garnish with fresh mint.